Account of the expedition to McKinley by Vivian Bruchez, who accompanied the team and contributed to mountain safety with his knowledge. Vivian is one of the best extreme skiers in the world. The conversations we had with the climbers on Camp 4 had a strong impact on me. They knew that Kilian was going to attempt the record and so they were expecting an important filming, safety and commissioning crew. But there was none of that. 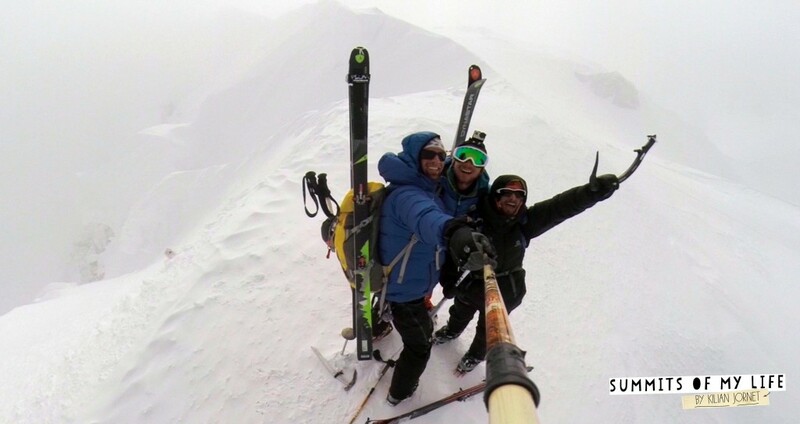 There were only 3 climbers there by his side and Kilian alone was to attempt the record, following the philosophy of his project: minimalism and minimal impact on the mountain. On the day of the record together we arranged for all of us to be in key locations to film and check that all was well. 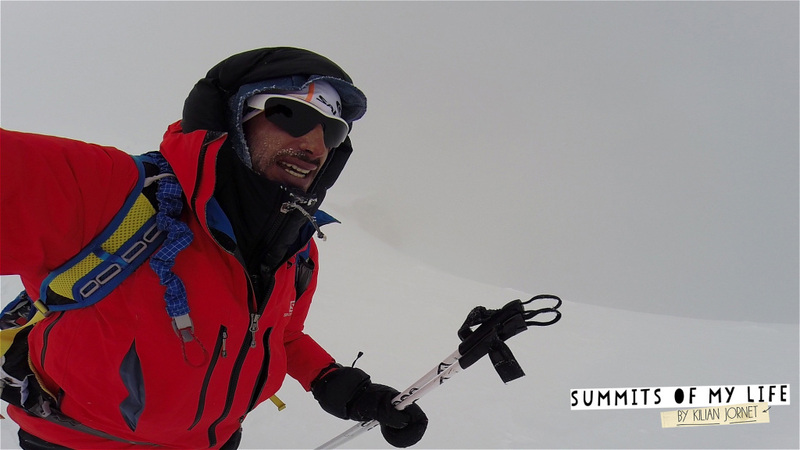 Seb was at the start and had slept in the same location as Kilian the day before the record at 2,400m (Camp X). As on other occasions, the record would start at Base Camp, reach the summit and back down. Jordi and I remained in Camp 4 (height?). We had planned the record route to go through West Rib, so we had to mark the route there. But the wind piled up a lot of snow at the start during the night and so, by mutual agreement, we decided to change the program and mark the route through Rescue Gulli, which leads to Camp 5, thus avoiding the stretch of fixed ropes on the traditional route. The weather was pretty bad and the chances of success were dwindling. Nevertheless, Kilian decided to give it a go and carried on climbing to the top. I was fortunate enough to accompany him on part of the descent on skis. Skiing on powder snow on that special day was superb! We were very happy, but did not know if Kilian had achieved breaking the record because he went on towards Base Camp alone. Later on we learned that he had set a time of 11h48′. After the record, we could have collected our things and gone home. That’s what people may think, but that would have been boring! We felt like skiing, climbing and enjoying the mountains. Although the bad weather continued, we climbed to a higher camp (field 5, height?) 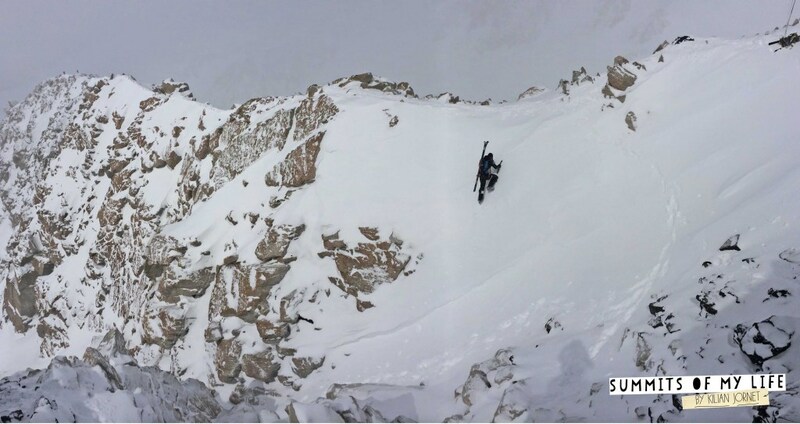 several times to ski down the West Buttress and the Rescue Gulli tracks. One of the most beautiful memories that will remain was leaving at 8 pm one evening to ski the Orient Express. It was a route Jordi had already snowboarded on, on another expedition. Jordi Tosas, a very versatile climber, knew how to convey his experience both in altitude and on solos. His help was very useful to both Kilian and the rest of the team. We attempted the Orient Express at midnight, but had to stop halfway because it started to get very cold. Nevertheless, sunset at midnight at 5,000m in altitude is an incredible memory that I will take home with me. Despite all our efforts, we could not reach the top, either because of the wind or the snow. But finally, on June 14th, some good weather was forecast and we decided to have another go. We all climbed together but Jordi left the group at the Denali Pass to attempt a climb alone on the north face of McKinley, which is much more technical. The rest of us continued to attempt the summit from the south. Seb and Kilian marked the route and, up there, we were all alone. The conditions were perfect and we felt we were in a different dimension. The descent on skis was a happy moment, among friends. There was nothing but smiles at such a gift from nature, the chance to ski on great powder snow. Time goes by very quickly on the mountains and night and day merge into one. I never got bored, not even during the days we were waiting, because for someone who loves the mountains and has the opportunity to spend a few days in that environment, there is always something to do. Also, being at such high altitude, we had to keep our strength up. The simple fact of heating water is something that took a lot of time and energy. Besides that, we had to cook, eat … And dream, of course. When we decided to return, everything went much faster. Everything was collected in less than two hours, and two hours later, we were back at Base Camp. It’s amazing how much time we put into making a dream come true and how fast it is over. That is why we must continue having projects, we must carry on dreaming, so as to be able to experience adventures like this one again!